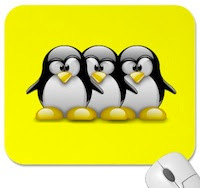 We've already talked about the best backup software for Linux. These applications save you from losing all your data in case of some unforeseen incident. Moreover, if you’re using the latest version of Ubuntu, you’ll find a backup software (Deja Dup) already installed and ready to be used. So, one cannot stress more on the importance of backing up your data and staying on the safer side. That said, not everything can be backed up so easily. In other words, backing up music, videos, documents, and even saved games can be quite easily achieved with the help of some popular tools. Or even you can copy all the data manually to some external hard drive, thus making the process even simpler. However, backing up applications, especially the ones on Linux, is not something many people go for. APTonCD, as the name suggests, is a free tool that lets you backup all your installed applications onto a CD or DVD. 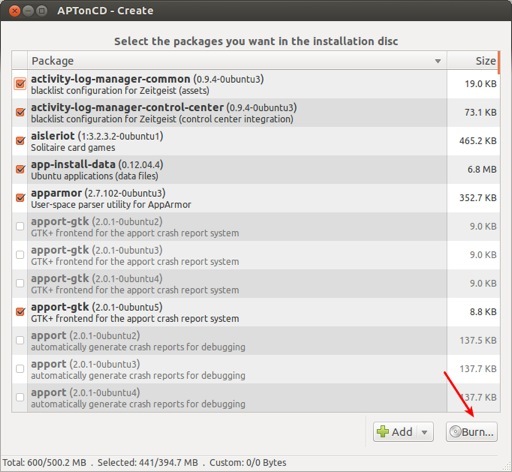 Once installed, the application lists all your packages and lets you burn them on a CD or DVD. You can, of course, choose which ones to burn and which not to burn. If you’re on any other distribution, feel free to download the tool from their website. 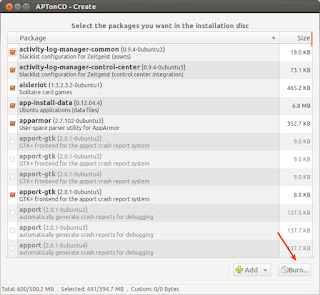 Once installed, open it by searching for APTonCD in the launcher (Super key). The application is very easy to use and you can backup all your apps in 3 simple steps. Step 1: From the Welcome screen, hit the Create button. Step 2: Choose the packages you want to backup. If there are more packages you want to add, click on the Add button to include more deb files. Finally, once you’re done, hit the Burn button. Step 3: Select the medium (CD or DVD) and the destination of the image file and then hit Apply. 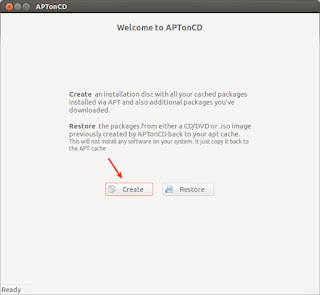 Once you've created your backup CD, open up APTonCD on that computer and just hit the Restore button from the Welcome screen (refer to Step 1). sudo apt-get install vlc python firefox …..
Then finally, after formatting your hard drive and reinstalling Ubuntu, just paste in these commands into your terminal and enjoy. Thank you. How would you backup applications that were installed with a deb file and are not available in a repo ?